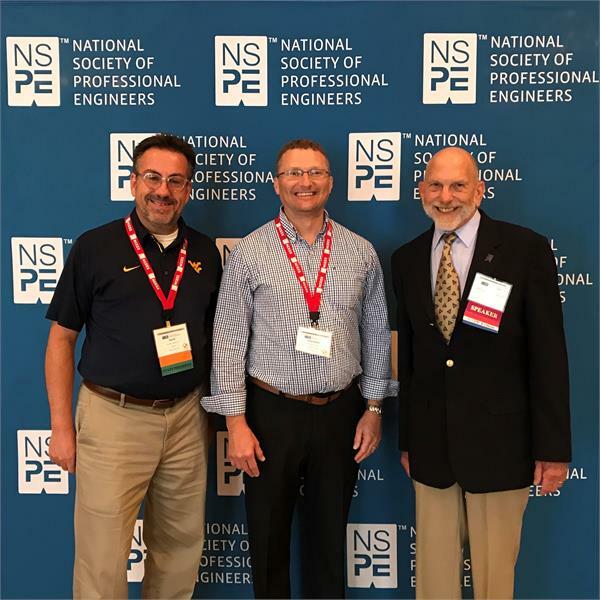 David Weaver, P.E., WVSPE President, Chris Butler, P.E., Past President, and member Elmer Curtis, P.E. recently attended PECON in Las Vegas, NV. Curtis gave a presentation on Ethics and Forensic Engineering.